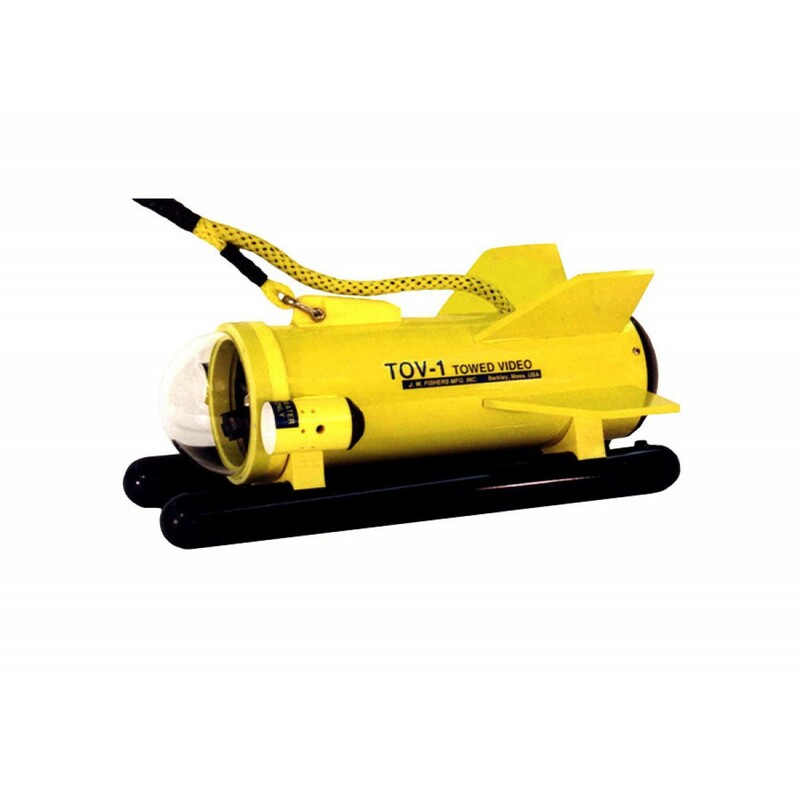 The TOV-2 Towed Video system provides a cost effective method for underwater search and inspections. Fishers versatile boat deployed underwater camera system that can be dropped or towed. The system is deployed over the side of the vessel and lowered to the bottom. 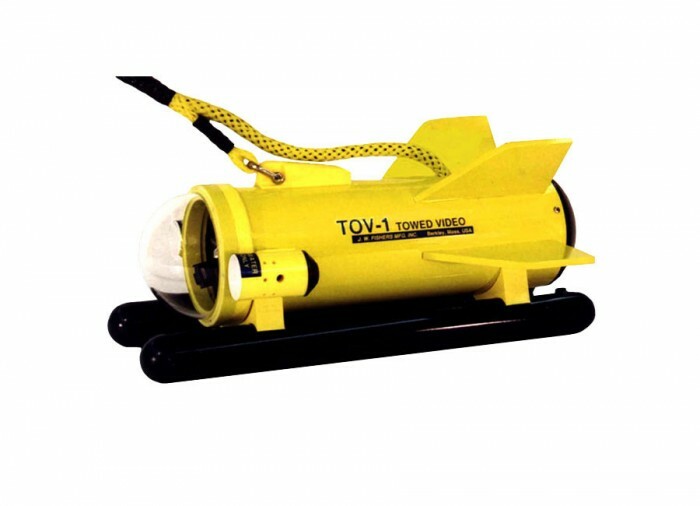 The TOV-2 uses the boat’s propulsion to move it through the water in the tow configuration. The camera is mounted in the housing at a downward angle giving a field of view of 50 degrees (optional .07 lux B & W camera gives a 70 degree viewing area). The system can also be suspended over the side of the vessel and used as a dropped camera. Large areas can be searched and video taped without incurring time consuming check-out dives. Topside the TOV-2 connects to a video monitor or standard TV. The video can be recorded on any VCR for a permanent record of that favorite dive site or an inspection job. 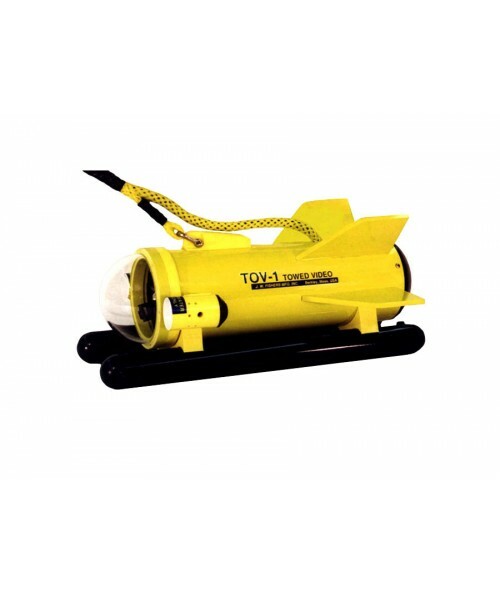 The TOV-2 system includes a 0.5 lux black and white camera in a corrosion-proof PVC housing with built in leak detection system, two high intensity 100 watt underwater lights, and a 150 foot deployment cable. The underwater lights employ a unique water cooling system which allows many hours of operation without the need for bulb replacement.